“What on earth is wassail?” you may be asking. Let me give you a little history lesson! 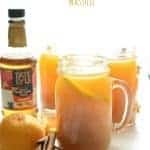 Old English “wæs hæl” literally means “be you healthy.” Wassail (or wassil) is traditionally a hot spiced cider that is sweetened and has other fruit juices added, and it was probably fermented and enjoyed as a hard cider back in the day. Today, Wassail is generally a nonalcoholic hot beverage. Wassailing (you know, like the song “here we come a-wassailing”) refers to a medieval ritual to celebrate the apple trees and to ward off evil spirits for next year’s cider making. We can thank our English ancestors for this tasty drink. Wassail, in my personal experience, seems to be a much more Midwesterner thing. I’ve yet to meet someone in Utah who has ever heard of it, let alone loves it. Don’t worry, they are quickly converted! My sister Sarah and I can thank our Hoosier upbringing though for our love of wassail. 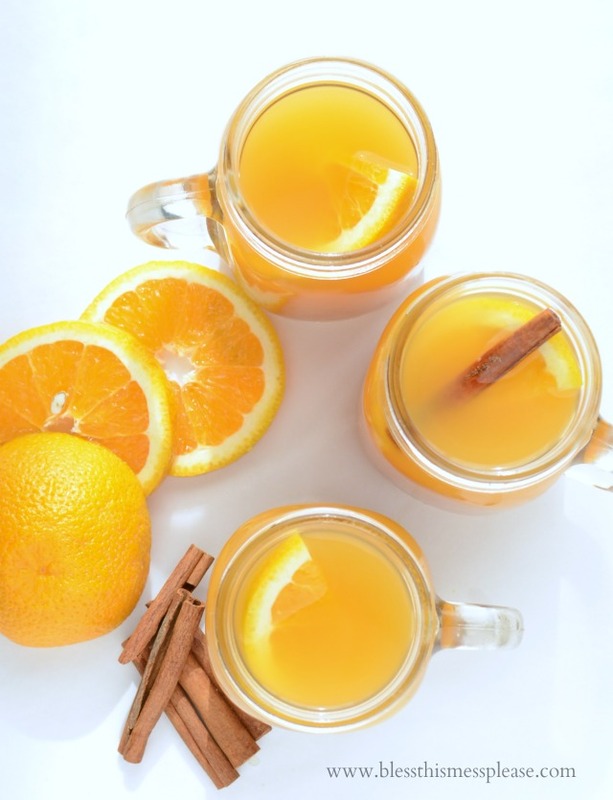 Wassail is a fun addition to any party because it’s warm, sweet, easy to make, and really pretty. If your party guests or family are new to wassail, they’ll be in for a real treat. I used Tate+Lyle® Gourmet Beverage Syrups to add both sweetness and the vanilla flavor. This was an awesome addition to wassail. These syrups come in a few different flavors, and I’m excited to try more of them out. 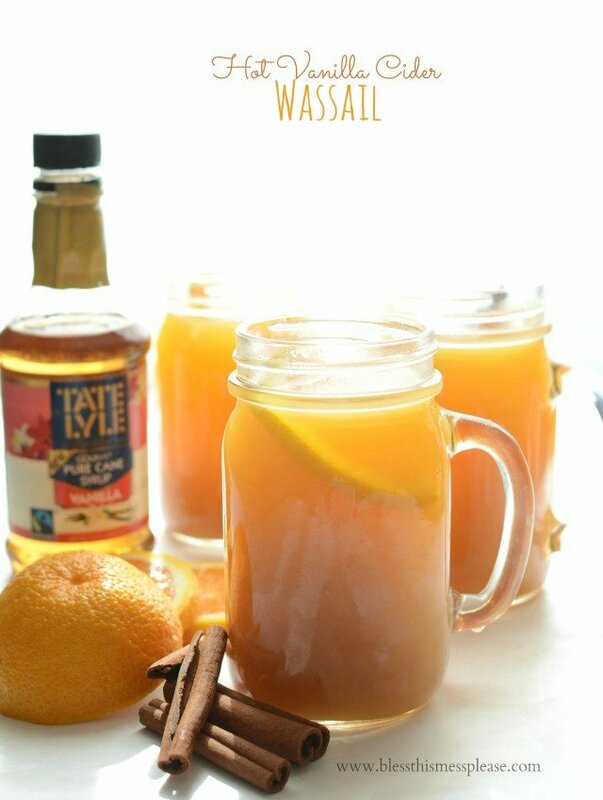 Tate+Lyle® is the perfect company to work with on this wassail recipe; both are old and English! Tate+Lyle® is an English sugar company whose history goes back to the 1870s. Today, they sell many different Fairtrade Certified sugars (their Organic Turbinado Raw Cane Sugar is one of my favorite products. Not only is it excellent in baking, but it is also perfect for making homemade sugar scrubs). It’s a great company, and I’ve been really excited to work with and support them. Here’s another fun fact: Tate+Lyle® is really easy to find here in the US. They actually sell it at Walmart. Keep reading – there’s a $100 gift card up for grabs, just in time for holiday shopping. Craving more? Subscribe to Bless this Mess to get new recipes, meal plans, and a newsletter delivered straight to your inbox! 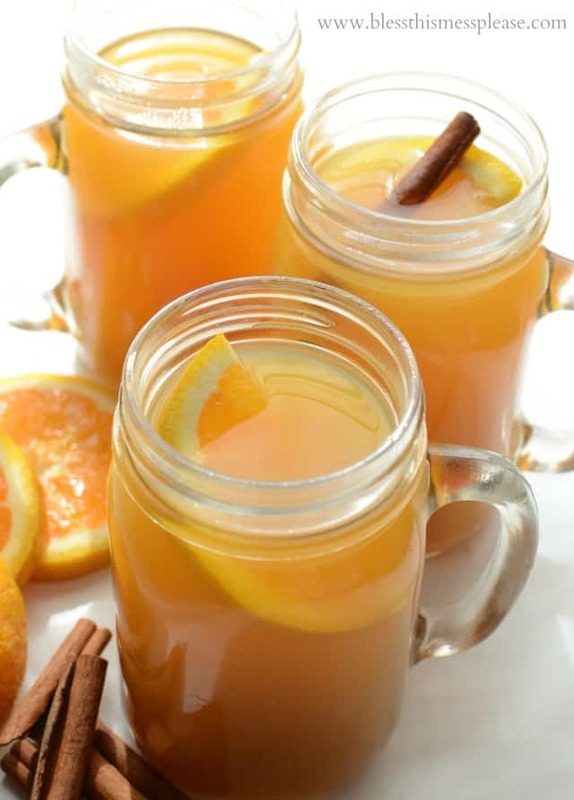 If you try this cider wassail, let me know what you think! Leave a comment, pin it, and don’t forget to tag a picture #blessthismesseat on Instagram. I love to see your kitchen skills in action! Add all of the ingredients to a large pot and stir to combine. Bring the mixture to a boil over medium-high heat. When it starts to boil, cover the pot with a lid, reduce the heat to low, and simmer for 20 to 30 minutes. Remove the cinnamon sticks and serve hot in mugs. Store leftovers covered in the fridge and reheat before serving. This recipe is easily multiplied if you are making cider wassail for a crowd, but it’s not so big that you can’t make it for your family one night and reheat the leftovers once. My kids even like cider wassail cold! 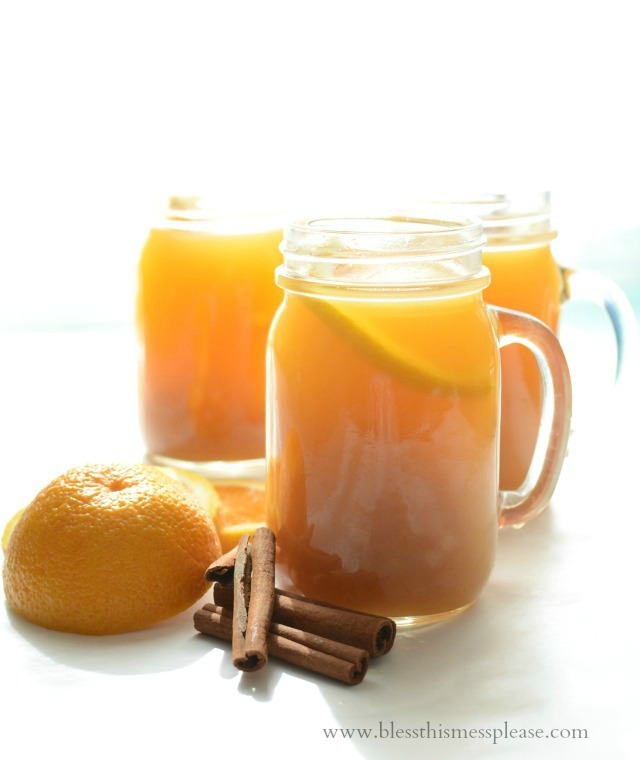 This sweet and lightly spiced drink is sure to become a holiday tradition in your home in no time. We pressed about 50 gallons of cider a few weekends ago (from our own apples! ), which means we’ll have plenty for wassail making. Yay! This giveaway is open to US Residents age 18 or older. Winners will be selected via random draw, and will be notified by e-mail. The notification e-mail will come directly from BlogHer via the [email protected] e-mail address. You will have 72 hours to respond; otherwise a new winner will be selected. The Official Rules are available here. This sweepstakes runs from 12/2/14 – 12/31/14. 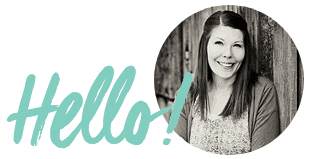 Be sure to visit the Tate+Lyle® brand page on BlogHer.com where you can read other bloggers’ posts! And a big thanks to YOU for supporting the companies I thoughtfully choose to support. You are the best! Your Wassial photos are beautiful!! I have to admit I’ve never actually had Wassial, and didn’t really know what it was. Now I’m eager to try my own!! I would love to try this! I love Wassail and Vanilla…it would be a perfect combo! I love wassail but I’ve only had my mother’s, who got her recipe from her mother. It’s a family tradition to have it at Christmastime and it always puts me in the holiday spirit. We even have Christmas mugs that we would drink it from when I was a kid. And a few years ago, I was complaining to my mom about how I missed being home for Christmas, and the next day I got one of those mugs in the mail—she’d overnighted one to me. It was one of the most heartfelt gifts I’ve ever received. Those Tate and Lyle syrups look amazing! I would love to try the caramel syrup in hot chocolate and skip the pricey starbucks ones! This sounds amazing! I can’t believe I’ve never had this before when I was living in Provo! 😉 I think I would make it exactly like your recipe suggests. My fiancé loves carmel, and I’m always looking for flavoring to add to his coffee or cider that tastes natural! 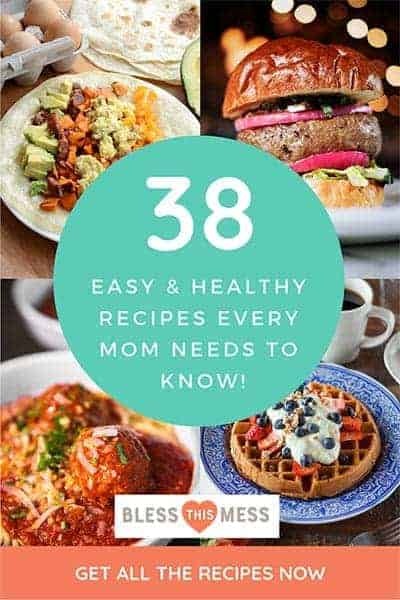 This recipe will probably be much loved too! Sounds so good and I’ve never heard of it before! I would love to try the Vanilla and make the recipe for the Vanilla Pomegranate Soda! Sounds delicious and your pictures are lovely! I’d love to try the vanilla too! I would love to try it with a little bit of chocolate. Mmm….I’d have a hard time deciding between vanilla and caramel. I’ve heard of wassail b4 and enjoy it or apple cider when I have a cold (like now). I’d try the vanilla – I love vanilla during the winter months. I would love to try the vanilla flavor and I would try adding it to hot cocoa! I want to try the vanilla flavor and put it in hot coffee. The vanilla flavor would be awesome in lots of things! My husband drinks “Pero”, which is fake coffee and he loves to try new flavors!! We also drink lots of Italian Sodas, and we’re always hoping to find new flavors and brands of syrups to put in! Also, I love wassail, I’m so excited to have a recipe to make it at home!!! Mmmm, the vanilla sounds tasty but the caramel would be good too. I bet they would be yummy in hot chocolate! This looks yummy. I would use the carmel flavor in my coffee. very informative post.. now I need to go out and try this! I would like to try HAZELNUT PURE CANE SYRUP in making mocha. I would love to try the vanilla flavor and I would love to put it in my coffee in the morning. I’d like to try vanilla and put it in hot chocolate. I am going to use the Caramel Flavor and make a Hot Caramel Latte with it! I would like to try the caramel flavor in hot chocolate. I would like to try the hazelnut flavor in my coffee. I would love to try the caramel or vanilla!! I’d love to add the vanilla one to a latte with whipped cream on top!!! THE HAZELNUT SOUNDS GOOD FOR IN COFFEE! I would like to try Tate+Lyle® Vanilla Pure Cane Syrup in a cup of green tea. Given time, I’m sure I’ll be trying all of the Tate+Lyle Gourmet Beverage Syrup flavors, but first, I’ll try the Vanilla, and I’ll stir it into my hot black tea. It sounds lovely. I would love to try the vanilla syrup in a homemade hot latte. I would like to try the Hazelnut flavor in my coffee. That sounds really good! The hazelnut flavored syrup sound divine! I’d like to try it in my green tea. a great idea, I’ll put in practice New Year. I might use the caramel syrup and make a nice caramel latte! I’d love to try the Pomegranate vanilla soda with the vanilla syrup! I’d like to try Pomegranate vanilla soda with the vanilla syrup! I’d try the vanilla and put it in my homemade hot cocoa. I’d like to try the Hazelnut syrup in my coffee! I think the vanilla would be delicious in a coffee/chai mixture! mmmm! I’d like to try the vanilla and add it to hot cocoa with marshmallows for my grandsons. I would try the caramel and would add it to apple juice. I would like the caramel and put in my coffee. It’s hard to decide which one I’d like to try first, it’s between the Vanilla and the Caramel. I would first try these in coffee. Sounds really delicious. I’d like to try the caramel or hazelnut in my coffee. Yum! Vanilla would be good in my coffee. pure cane vanilla syrup in my morning coffee but maybe over some vanilla bean ice cream as well! I would like to try the caramel flavored tate+lyle gourmet beverage syrup in my coffee. I’m like to try the caramel flavor in my bread pudding – thank you. I’d like to try caramel and vanilla in holiday coffee. I’d like to try the caramel with milk. The caramel would be good in my apple cider. I want to try the vanilla flavor first. I would like to try caramel in my hot apple cider. Thanks! I would put the caramel in my chai latte. YUM! I would like to try hazelnut. I would put it in coffee. Vanilla syrup on hot chocolate or a latte! I would add vanilla to my coffee! I want to try the vanilla and add it to black tea! I want to try caramel in my hot cocoa. I’d add the vanilla syrup to my coffee and to my morning oatmeal. I would like to try the vanilla in an iced coffee. I want to try the Hazelnut and I would add it to coffee. I would like to try a little caramel in hot spiced apple cider. I think it would taste like a caramel apple. I’d like to try the hazelnut in my coffee! i would like to try the caramel in my hot chocolate! Which flavor you would like to try and what you might put it in! Vanilla for coffee or hot cocoa. I would love to try the Zero Calorie Vanilla Gourmet Beverage Syrup. I’d pour it into my iced coffee. Never heard of this drink before. Sounds taste! Pumpkin, love pumpkin flavored coffee and Hot chocolate or even mint for tea.